Seabreeze International of Ontario, Canada, is recalling about 5,150 Smart Thermaflo Bathroom Heater Fans with nightlight sold in the U.S. and Canada. The safety cutoff can fail to function allowing the heater to overheat rapidly, posing a fire hazard. The firm has received one report of a unit overheating and catching on fire when turned on, leaving scorch marks on a wall. No injuries have been reported. This recall involves model SF14TA Smart Thermaflo Bathroom Heater Fans with nightlight, manufactured in 2015 and 2016. 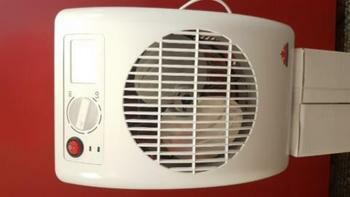 The fan is a white rectangle about 13 inches wide and 10 inches high with a plastic grill on the front. “Seabreeze International Corporation,” SF14TA and date code are on a label on the bottom or side of the fan. Affected units have a date code ending in 5 or 6. The heater fans, manufactured in China, were sold at Ace Hardware, Amazon, HomeDepot.com, Wayfair, Sharper Image, Brookstone and Air, and Water Inc. in store and online from August 2015, through May 2017, for between $60 and $65. Consumers may contact Seabreeze International at (800) 668-6095 from 8:30 a.m. to 4:30 p.m. (ET) Monday through Friday, by email at SF14TA@seabreeze.ca or online at www.seabreeze.ca and click on SF14TA Recall for more information.